Discussion in 'Tarantula Chat' started by basin79, Feb 13, 2019. Well apparently I got mad about Brachypelma smithi being changed to Brachypelma hamorii for nothing. Seems my lass is a Brachypelma smithi. Was having a conversation on Instagram last night and today regarding these. 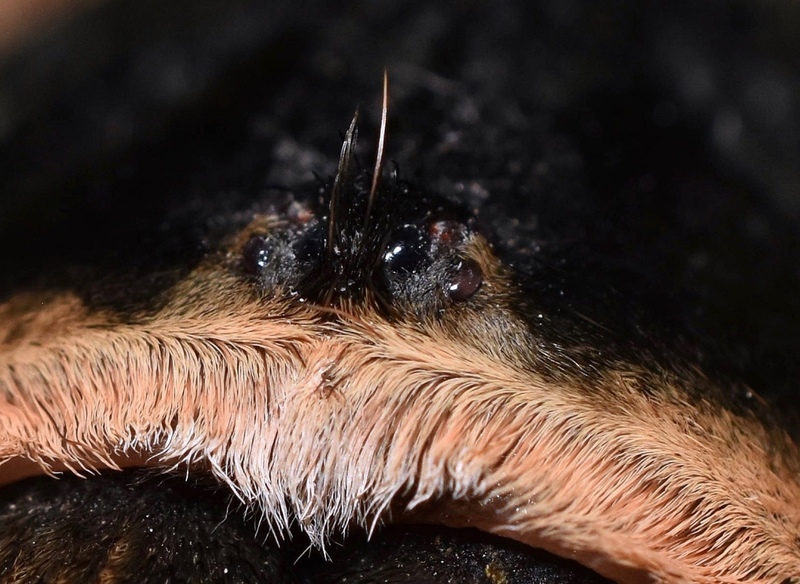 B smithi have spikes/hairs between their eyes where as B.hamorii do not. I took some pics of my lass today and the spikes/hairs where present. So after years of my beautiful lass being misidentified she's finally got her name. I'll post more pics of her in my dedicated threads later but I'll put these eye pics in this thread so it can help others in the future. Will smithi x hamorii hybrids have these too or will it only be smithi that has them? I don't have a clue. I bought this lass years ago as a juvenile Brachypelma smithi. Then came the name change so she went to Brachypelma hamorii as that's what I assumed was correct. She'll always be my favourite tarantula no matter but it's good to finally have the correct name. 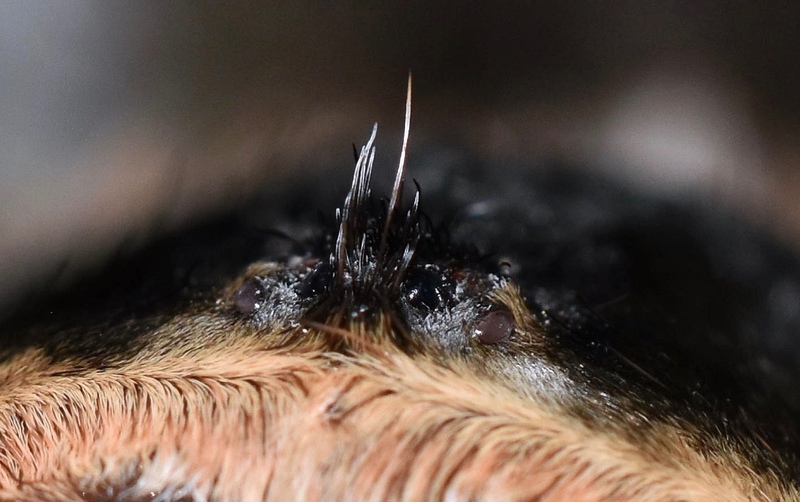 B smithi have spikes/hairs between their eyes where as B.hamorii do not. I hadn't heard this before, was that in the paper that delineated the differences between the two species? 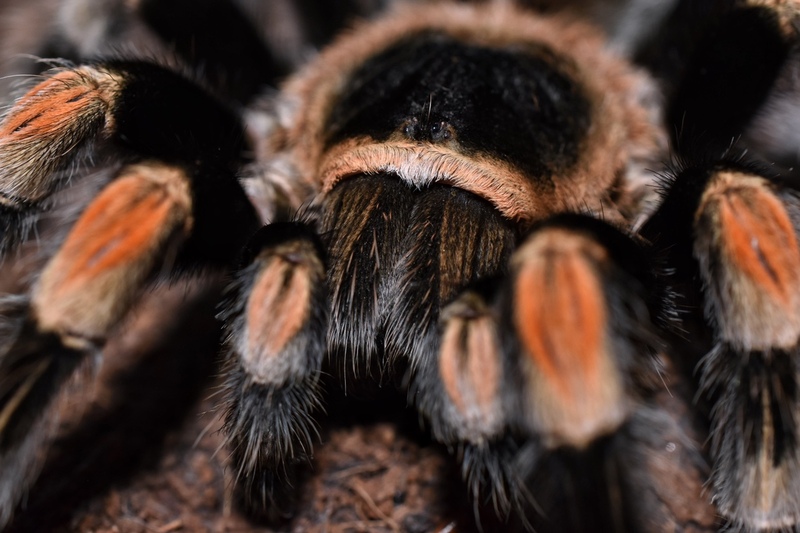 I was also under the impression that B. smithi was NOT changed to B. hamorii, rather most of the individuals we had in our collections were improperly labeled as smithi when in fact the vast majority were hamorii. Mis-identification rather than a taxonomic change, as it were. Aye. Although I'm only going on what I've been told on Instagram. The original information came from someone going by the name exoskeleton_invertebrates on insta. My lass was a B. annitha originally sold as a B.smithi. With smithi then being identified as hamorii and annitha being identified as smithi. Well if that is the same person as exoskeleton invertebrates here on AB, he seems to be well respected for knowing the little details to differentiate between similar species and their hybrids (like hamorii vs smithi/ boehmei vs baumgarteni). I don't know him personally but i have read through several of his posts on AB and i'm quite jealouse of his photography. Ah super. Didn't realise he was on here. Well it's thanks to you @Exoskeleton Invertebrates I now know. So thank you. So is there a difference in harmorii and smithi? I thought it was just a name change. Hmm, I’m certainly interested in more details. They're totally separate species, although morphologically similar. They are (from what I understand after reading a few papers) separated by a river in nature. I hadn't heard this before, was that in the paper that delineated the differences between the two species? No, it was not. Someone just made up some stuff or only used a few of their own pet tarantulas to arrive at such a conclusion. The paper by Mendoza and Francke (2017) have figures of the ocular mound of both species that clearly show long hair on both. Page 163, Figure 6. Brachypelma smithi male ocular tubercle. Page 164, Figure 13. Brachypelma smithi female ocular tubercle. Page 168, Figure 27. 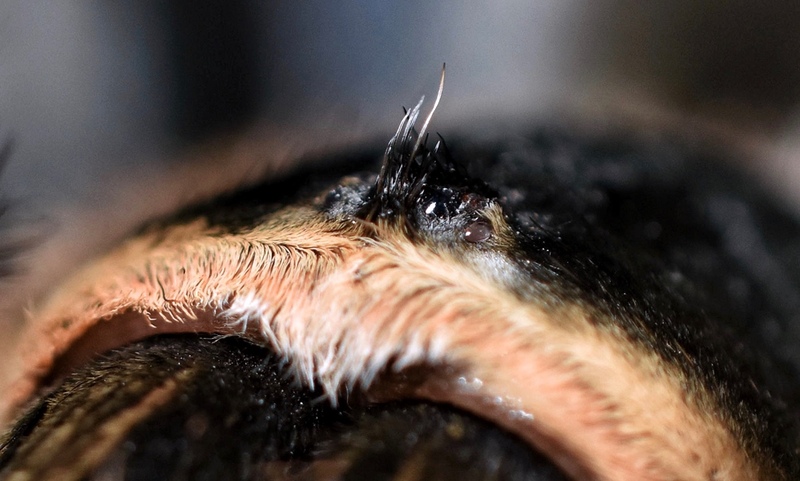 Brachypelma hamorii male ocular tubercle. Page 169, Figure 33. Brachypelma hamorii female ocular tubercle. 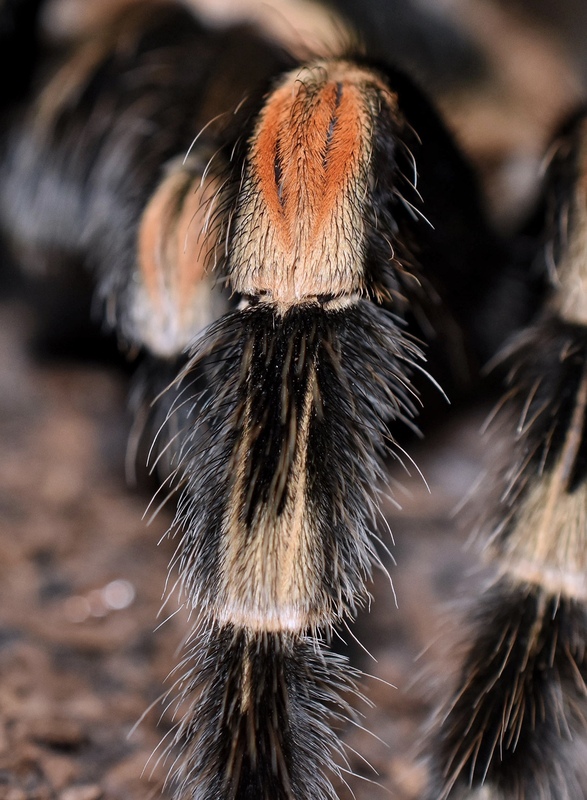 Although similar in colouration, B. smithi differs from B. hamorii by the absence of a cheliceral band. From this photo there appears to be banding present (compared to page 168, figure 24; and page 169, figure 31). This is why I suspect B. hamorii for the time being. However, the shape of the spermathecal baseplate will definitely be more telling. I don't have a moult to 100% determine mine using the method discribed above. However exoskeleton contacted me and said I do indeed have hamorii after all. 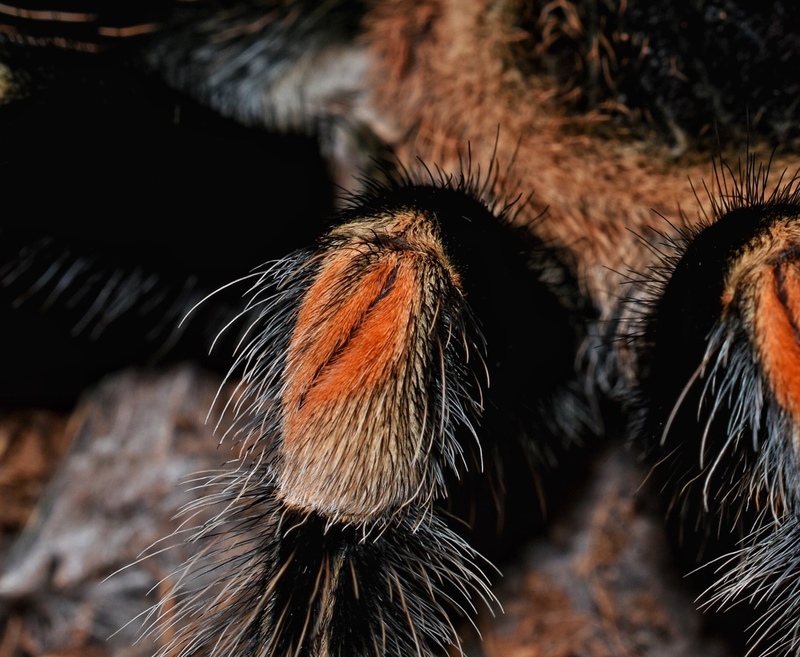 B.smithi have orange hair/spikes over the eyes in his experience. So I'm going with homorri until I have a moult. Not going to delete the thread as it's still informational and reminds me of my own stupidity to not fully find out all the facts before posting. 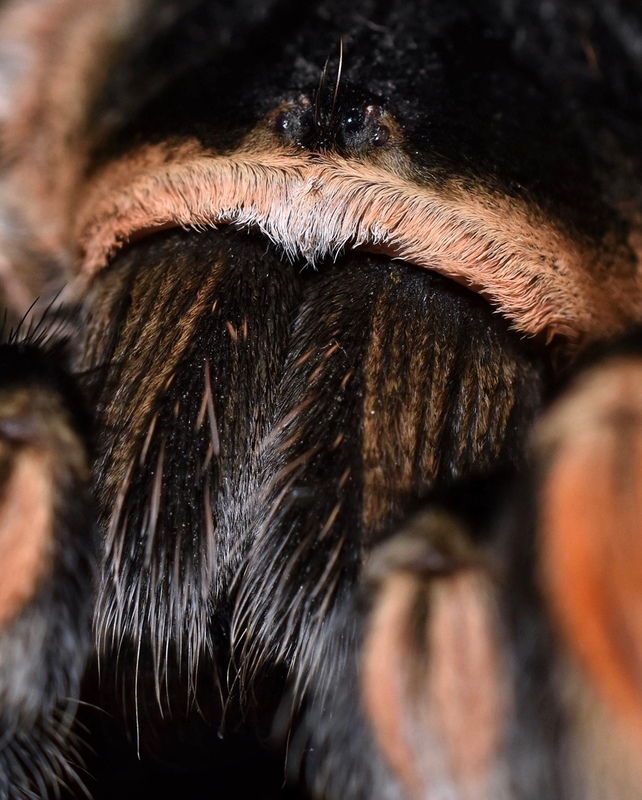 As far as I was aware, B. hamorii has the cheliceral banding and there are vertical black strips through the knee banding (these are more apparent at larger sizes) whereas smithi has neither (there are some differences in carapace colour but apparently this isn't a reliable way to tell them apart). So I'd say what you have is actually B. hamorii. Elektra was purchased pre-revision, she's clearly hamorii. My smithi male is a bit small to compare (also, I'm cynical enough to believe that sellers here just started offloading hamorii as smithi because annitha were impossible to find before the revision and suddenly popped up everywhere after, guess I'll have to wait and see). The cheliceral bands along with the long white hairs on the legs leads me to B. hamorii as well. What's his deal with the hair on the eyes? It has nothing to do with anything. I don't have a moult to prove anything your way. Although my lass is looking big and she hasn't eaten for a while so fingers crossed that changes soon. There's someone else who states the hairs are a different colour and arranged differently in both species. Now both of you seem to be highly thought off regarding tarantulas. Just want to type I appreciate all the replies and pointers. To be absolutely honest I've never been bothered so never bothered to learn all the ins and outs of tarantulas apart from their care. I've kept them for over 20 years because I just love tarantulas. I've deleted my youtube posts and Instagram posts from yesterday and made new posts and linked this thread into them so anyone that was confused by them will be lead back on the right path. I know you aren't looking to breed, so ultimately it doesn't matter. It's just an interesting discussion! Sorry for the roller coaster. It's still nice to know that it's 99.9999% certain I have a hamorii. Once she moults I can be 100%. To be honest I've actually enjoyed the discussion. Exoskeleton has sent me loads of pics on Instagram too which been good to see. Small visual clues.